The Doctors Center Urgent Care has 5 convenient locations with access 7 days a week. Our clinics provide family medical care, urgent/minor emergency care, occupational medical care and testing, DOT physicals and drug testing, and school and athletic physicals. Each clinic has digital x-ray capabilities and a dedicated staff of medical professionals with one goal, your health. Avoid costly emergency rooms visits that take both your time and money. Minor medical issues such as fractures in those who can walk, lacerations, abscess, sore throats, ear infections, suture removal, rashes, urine infections, dehydration and a vast array of other non-life threatening conditions should not be clogging up emergency rooms. Visit the Doctors Center Urgent Care where you will be seen quickly and treated by experienced providers without excessive waiting times or breaking the bank. 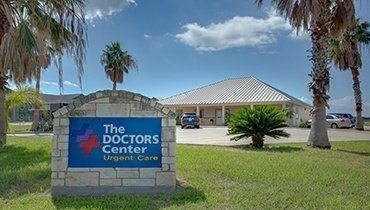 The Doctors Center Urgent Care is the leading provider of Urgent Care and Occupational Medical services in the coastal bend. Contact us for more information.